2. Once you logged in, Go to SADAD, then 'MOI SERVICES', then 'ALIEN CONTROL' or "EXPATRIATES SERVICES" or "EXPATRIATE AFFAIRS". 4. 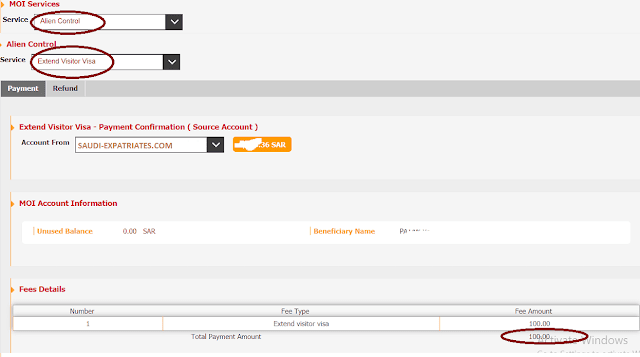 Click on 'Pay and Confirm', Now you completed the payment procedure for extending visitor visa, Once you finished this you need to continue the procedure in MOI Absher account.